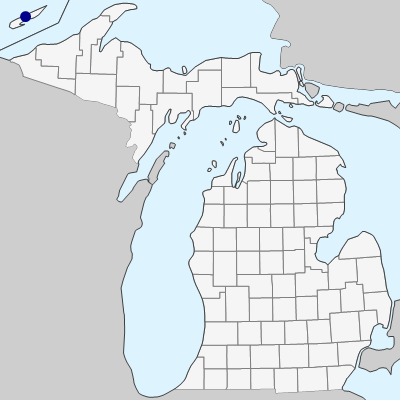 Ranges mostly northwest of the Great Lakes; found here only along the north shore of Lake Superior, including Isle Royale, where it is apparently not common in open rocky and gravelly places. MICHIGAN FLORA ONLINE. A. A. Reznicek, E. G. Voss, & B. S. Walters. February 2011. University of Michigan. Web. April 21, 2019. https://michiganflora.net/species.aspx?id=592.